Install the mosaics quickly and easily. If working in a smaller area or for a border like design – the mesh is easily cut using a utility knife (with the mesh facing up), or with a pair of scissors (tiles facing up). The installer will not have to worry about the straightness of the individual tiles as much as they would have done should the mesh not be present. Tile Grout – again we recommend weber – grouts are available in a variety of colours to allow you to match where possible. Ensure that the substrate is prepared for installation (Clean, dry and free from Dust & Debris). 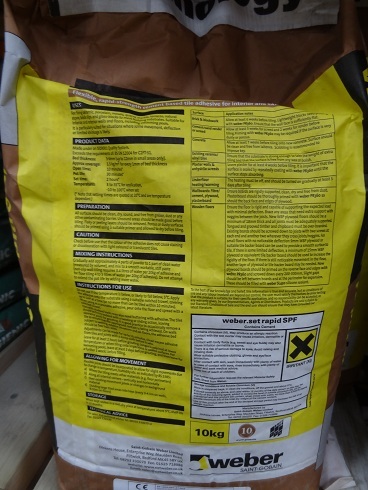 Mix your flexible adhesive following direction from the manufacturer; this is generally on the bag. Once mixed – apply the adhesive to the substrate using a V-Notched trowel. Using the flat side of the trowel, smooth out all of the ridges in order to achieve a consistent and even 1/8” thick coverage approximately. 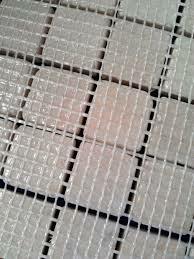 Apply your mosaic tiles into the freshly troweled adhesive. Remember to do this MESH SIDE DOWN! Using your rubber grout float (or an equivalent); gently press the tile into the adhesive and flatten sheets to each other to ensure contact. TRY NOT TO PUSH MOSAICS TOO DEEPLY INTO THE ADHESIVE AS THIS CAN CAUSE THE ADHESIVE TO OOZE BETWEEN THE TILES. Give the adhesive time to set – ensure this is done in line with the manufacturer’s guidelines. Clean any excess adhesive with a damp sponge; wipe away any haze that may have remained. Apply the grout to the tile openings between the tiles. 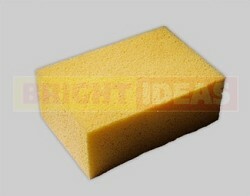 Work in sections – removing excess with a damp sponge as you go. Polish off any remaining haze with a dry cloth or towel. Follow these steps and there is no reason why your mosaic installation should be anything other than a success. If you have any questions regarding this guide, the products mentioned or anything else, please feel free to get in touch , our team are on hand to answer your questions.